This affordable and rugged Steel Daytona wheel features a 10-slot D-window design with a gloss black finish and a simulated bead lock ring giving it a real competition appearance while remaining street legal. 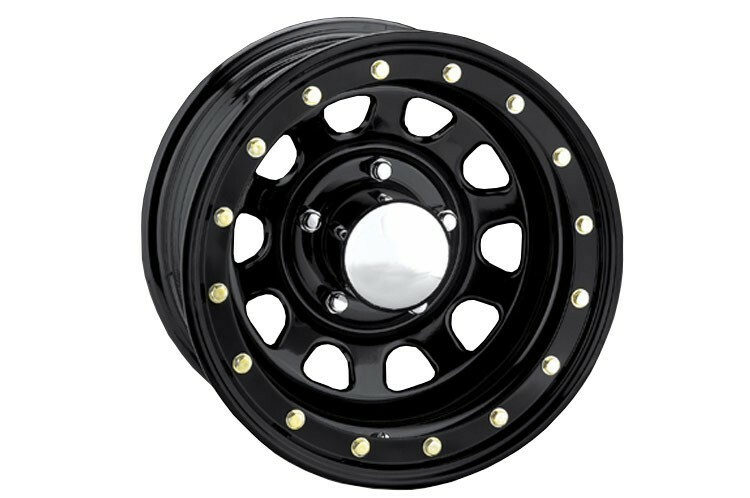 They are constructed from heavy duty steel for long lasting performance. Center cap and lug nuts are not included.